The Graffiti Great Takes Over. 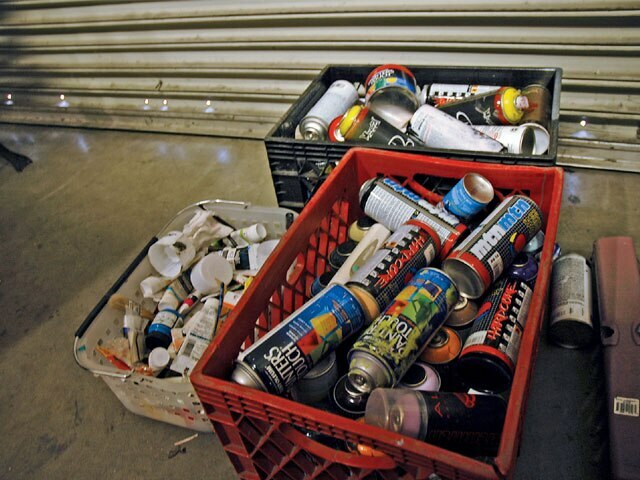 The rattle of a can chased by the sweet sound of vandalism manufactured by the infamous “Toomer” (AKA “Tloko,” “Tloks”) has proven to be enough to commission an anti-graffiti task force in every major city where he’s touched down. The man’s hands are so large that they encompass the entire can, giving the appearance that he’s spewing paint from his own flesh like some twisted graffiti super-hero bombing tall buildings, outrunning authorities and avoiding prosecution, all while taking over the entire city, locking down yards and taking flight only to devastate the rest of the world one major city at a time. 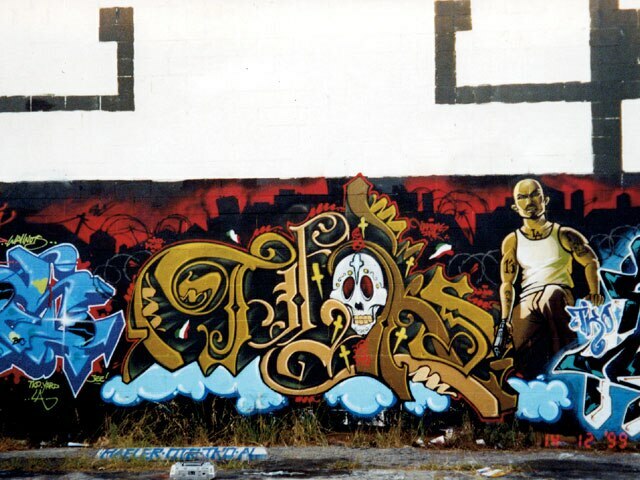 Rising from the guts of los Angeles, California, in the late ’80s, Toomer caught the junkie itch for graffiti after one tag in his hometown of South L.A. and then continued to go “all city,” mapped out only by his bus route to each new school that he attended. 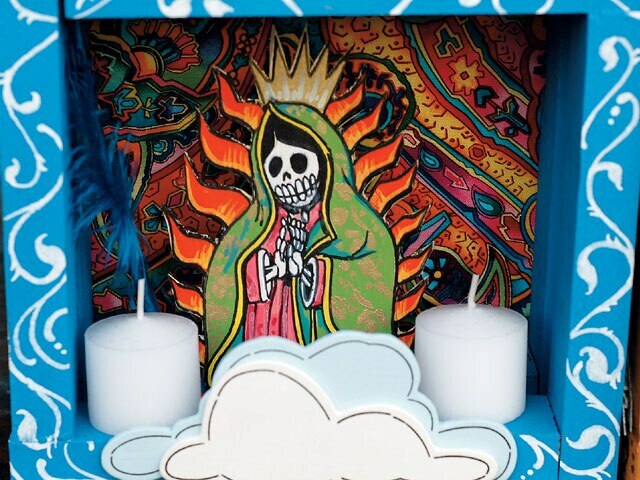 When it came time to step up to the status of king, he fused the 1980s art of graffiti with the decades old tradition of Dia de los Muertos to birth an unmistakable style that had the masses of graffiti artists falling to their knees. 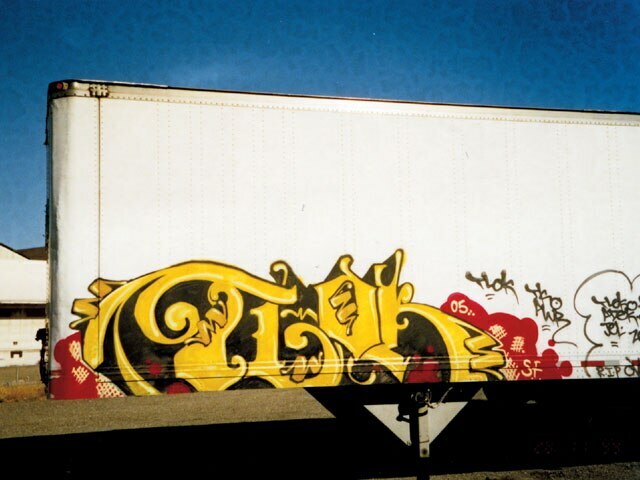 Strapped with a rack of cans and bent on a one-night takeover to crush your city in a blind fury came to be the trademark of TKO, a relentless band of vandals who watched out for each other and thrived to get up whenever, wherever and however possible on every venture. They soon became Toomer’s new brotherhood. Stacks of milk crates busting with spray cans weighted the trunks of the entire crew, new methods for getting up were devised to elude capture for this nonviolent crime that had major consequences if caught. 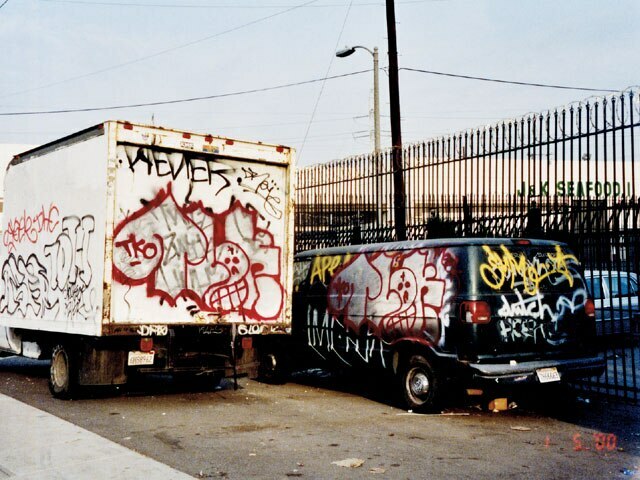 Leading the revolt with a stone cold flurry of paint and sweat running down his hands, Toomer evolved his style culminating in one furious blast that tore through the silver lining of graffiti and demanded respect not only from other graffiti writers and crews, but from many of the gangs in Los Angeles. This allowed him safe passage throughout the city to get up and stay up, but also brought added heat from the police and anti-graffiti activists, so sliding down the backside of the double-edged sword, it was time to take flight. 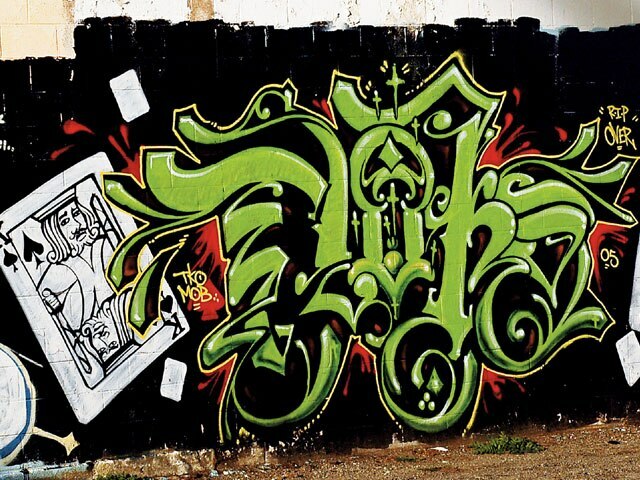 Utilizing his position as a promotions manager for a major record label, Toomer took his carnival of cans and malignant taste for graffiti on the road. 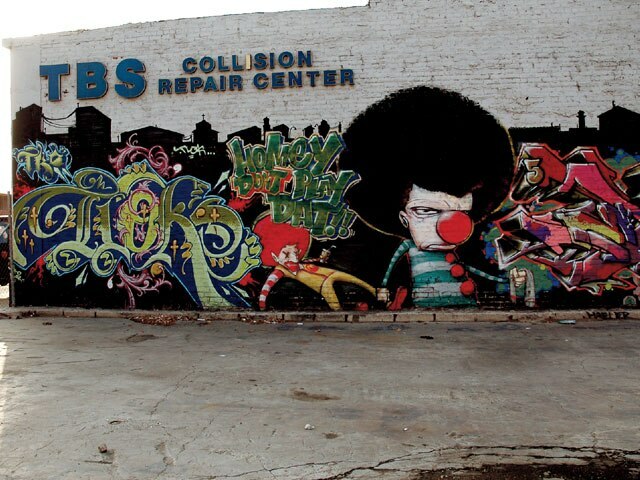 Working through the days and bombing every night, he left his mark on every city along the way. Upon his return, Toomer turned fortune teller and began to prophesize the demise of Belmont and Venice, which at the time fell upon deaf ears, so on a one-man mission he began to lock down yards throughout Los Angeles that he protects viciously to this day. 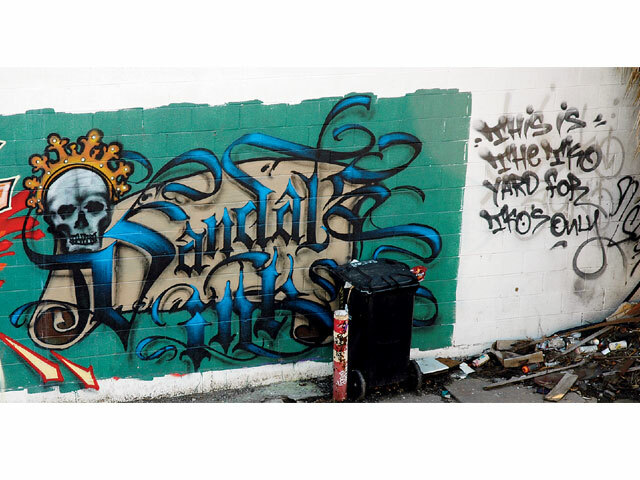 These yards were not only welcomed by the local business and residents, but he found himself being asked to cover entire blocks of businesses in an attempt to keep gang graffiti off of their walls. Always looking ahead, Toomer founded Vandals Ink, a company built on the premise that graffiti needed to produce a new agent of fear, an ink that could be loaded into metal markers to produce a lasting effect on anything that they glided across. This was not just an ink manufacturer, but a full-blown promotional machine that would push to redefine graffiti at a time where some would like to draw a divide between the vandal and the artist. Believing there can be no graffiti without vandalism, Toomer has taken his stand on the matter and forged down a path with conviction and honor willing to remove the glossy side of graffiti and see it for what it truly is. With a loss of a friend, his freedom, and respect for the criminal justice system, Toomer continued to practice his craft each night, digging deeper into the mainframe and becoming a figurehead in the movement. 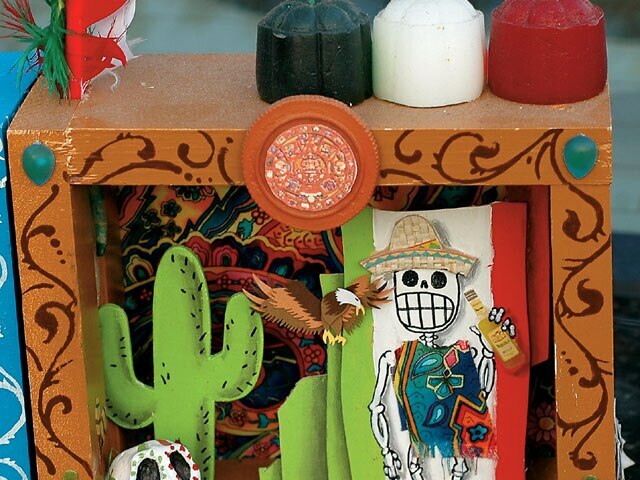 On a quest to submerge himself deeper into his art, he looked to further understand the Dia de los Muertos tradition so he headed south, deep into the heart of Mexico, where he studied how to create the handmade decorations and altars that are essential to the tradition from those who have practiced the craft passed down from generation to generation for a celebration that dates back 3,000 years. It was not enough to replicate the art that he loved; he needed it to retain its authenticity before he could say that this pilgrimage was a success. Upon his return, Toomer has rightfully taken his place among the greats of graffiti, taking stock as a purest to the art. He gives credit to those who produce amazing art with spray cans, but retains the difference between those who can’t or won’t bomb a city and those who are risking it every night as they grip that can and decide to make their mark on the city-believing that without the throw-ups, tags and everything else that makes up a true graffiti artist, you don’t deserve the right to be considered a graffiti writer. With all else said and Vandals Ink on the rise, Toomer welcomes you to plant TKO where he reigns free and graffiti is the national pastime.